Across the state, cities and towns will celebrate Memorial Day this weekend by honoring those who’ve served in war. One Addison County town will give special attention to those who served in the current war in Afghanistan. The parade in Bristol that winds from Mount Abraham Union High School down West Street each Memorial Day always ends at the village green for a wreath laying ceremony. This year, Vermont Army National Guard Col. Ray Bouchard, a veteran of the war in Afghanistan will speak to the crowd. Bouchard says very few people in Bristol and surrounding communities know someone that was lost in Afghanistan or on the morning of September 11, 2001. "However, anytime you lose a Vermonter it really hurts the entire state," Bouchard says. "The entire state feels it." Bouchard knows first hand. He served 15 months in Afghanistan, from 2007 to 2008. He mentored the Afghan Army in Kabul, advising the transition of the Army into the police force. His work marked the shift of America’s priorities in Afghanistan. "That was intense because we were at the start-up phase, starting up the schools," Bouchard says. "We were in charge of working with the individual districts in the capital regions and working with their generals." Bouchard grew up in East Calais. Two days out of high school, he jumped on a bus and enrolled in the Guard. Now, 31 years later, he lives in Hinesburg with his wife. It’s an area that reminds him of his hometown. He says he loves Vermont for its beauty and independent spirit. "We still have that nice village effect – definitely a very patriotic community," Bouchard says. 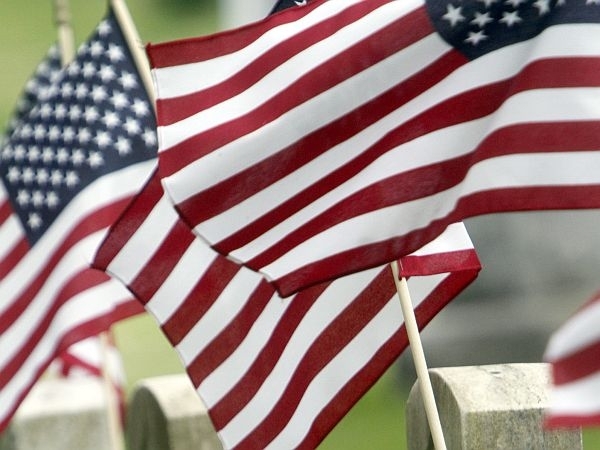 The area is so patriotic, in fact, that Bristol holds its Memorial Day ceremony in the afternoon, not to compete with the morning ceremony in nearby Vergennes. These communities take the time each year to recognize the pain of sacrifice. But Bouchard knows the war in Afghanistan has become unpopular. He says that’s difficult to hear when he knows men and women who’ve sacrificed so much. He remembers attending weekly commander meetings and learning about the fallen. "It would really hit you when you’d walk into the room for that next weekly meeting, and there was that placard and the empty seat of the individual," Bouchard says. "You realized, it could have been anyone of us." So on Monday afternoon when the parade arrives at the green in Bristol, Bouchard says he’ll remind everyone that the holiday is more than another day to take off. A little known provision to Vermont’s education law requires that schools put on programs to commemorate Memorial Day. Few, if any, schools meet the letter of the law. But many observe Memorial Day.